Use this handy Bald Head Island Tide Chart to plan fishing, surfing, boating even when is the best time for a beach walk. 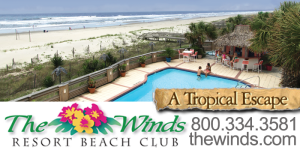 The Winds Resort: A Tropical Escape Closer Than You Think! Oceanfront rooms and suites overlooking palm trees, lush tropical gardens and our breathtaking island beach. Also Four, Five and Six Bedroom Resort Cottages with full kitchen, living room and large whirlpool spa. This program is distributed in the hope that it will be useful, but WITHOUT ANY WARRANTY; without even the implied warranty of MERCHANTABILITY or FITNESS FOR A PARTICULAR PURPOSE. Both the author and the website provider assume no liability for damages arising from use of these predictions. They are not certified to be correct, and they do not incorporate the effects of tropical storms, El Niño, seismic events, continental drift, or changes in global sea level. Tides are one of the most reliable phenomena in the world. As the sun rises in the east and the stars come out at night, we are confident that the ocean waters will regularly rise and fall along our shores. The following pages describe the tremendous forces that cause the world’s tides, and why it is important for us to understand how they work. Basically, tides are very long-period waves that move through the oceans in response to the forces exerted by the moon and sun. They originate in the oceans and progress toward the coastlines where they appear as the regular rise and fall of the sea surface. When the highest part, or crest of the wave reaches a particular location, high tide occurs; low tide corresponds to the lowest part of the wave, or its trough. The difference in height between the high and the low tide is called the tidal range.